Hi All, I am now going to curl up under a stone, coz this forum is a dead horse. 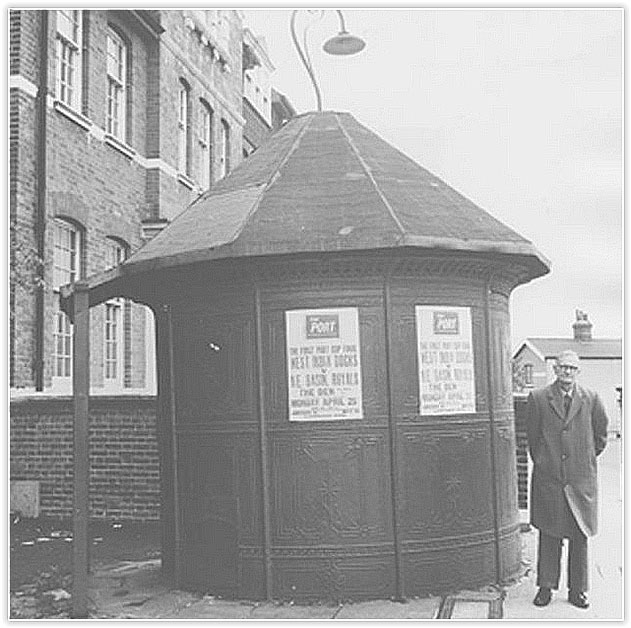 Hi all, I can remember walking past a well used circular metal urinal outside the Connaught Tavern on my way to work. I did hear that is was taken away for refurbishment by the Docks Development Board. Has it been installed in the dock area, not as its original use but as an item of the Royal Docks history? I will attempt to download a photo for those that dont know what I am talking about. Hi All, I recently done a search for Becton Park, only to find that is now called Canning Town Recreation Ground. Have I been getting it wrong all these years or has it been changed recently? Becton Park is or was home to the Lido & what we called the Rec was on the corner of Becton ByPass & Prince Regent Lane.